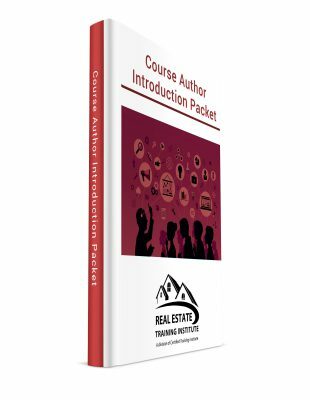 Real Estate Training Institute is seeking qualified professionals that are interested in sharing their knowledge with their professional community. If you are interested in providing educational material to expand our curriculum we want to hear from you. We welcome ideas for new courses on any topic or profession. If you have unique subject knowledge in a specific industry we want to hear from you. Contact us today!